2019 Preview: Almost everything will be the same in 2019 with the No. 20 team. Chris Gayle will once again serve as the crew chief and DeWalt will be the primary sponsor. Martin Truex Jr. will replace Daniel Suarez at Joe Gibbs Racing and this could help Jones this season. He worked very well with Truex in the past and having another familiar face in the garage has to help. Erik Jones has a lot of talent. I compare him to a young Kyle Busch. The chances of him winning a Cup Series championship are very high but it probably will not be for a few years. Toyota enters the season with three years of experience with the Camry while Chevy and Ford are figuring out their new cars. 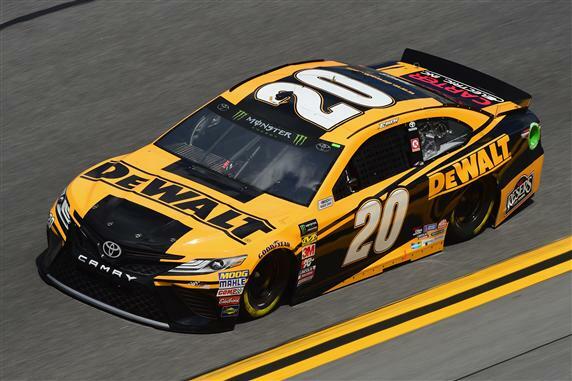 Joe Gibbs Racing should be the team to beat early in the season. That means Jones will be a good driver for your team at almost every type of race track.